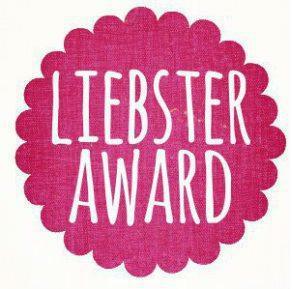 I am very honored to have received the Liebster Blog Award nomination from Lara/Trace at her blog on exposing human trafficking. Trace and I ‘met’ a few years back now and have much in common through our life experiences and our concerns regarding human rights and adoption reform. She has been a loving support and a steady ‘go-to’ companion when a trusted opinion is needed. I have learned a great deal from Trace about the sufferings of the First Nations people and appreciate her way of telling it how it is. I admire her prodigious output of published work and her dedication to the things she so passionately believes in. I started my blog to further my writing on adoption and to clarify my thinking and position on adoption in the past and today. I use it to explore the human rights and abuses of adoptees, the position of children in our societies and am as passionate about human rights, if not more so, than I was as a young adult. I am a great fan of dignity, respect and compassion and hope to see more of it in time. In my lifetime I have seen things happen that I would never have believed possible – the Australian Apologies and the recognition by our governments, both Federal and State, of the inhumanity and cruelty of adoption. I have been supported and validated by my family and inspired particularly by my wonderful Daughter, who has risen above many difficulties and life changes, to become a beautiful, gracious soul who loves and lives with her whole heart. I am very honoured to accept this award from someone I admire, respect and am grateful to for the learning and for whom no explanations are necessary. These are the rules according to the nomination. I started blogging a few years ago now over at Blogger and at one point had 6 blogs running for myself and for organisations I belonged to! My adoption blog was reported to the FBI as a ‘blog of hate!!! The truth is ugly and does not please some. It was shut down and my sense of justice and free speech were encouraged. I had already set up my current blog at WordPress always a good precaution when writing of what is so unpopular to some who find it hard to hear the truth. 2. What is your ritual for starting something new? In life I often begin something new quite spontaneously and in writing I am often moved by a phrase, sentence or sentiment of another writer/blogger. I just sit down at the computer and go. I can write at any time but it is usually in the morning, sometimes as early as 3 a.m if the inspiration takes me. I have several started. One a set of short stories, supposedly a work of ‘fiction’ but a handy way of telling a contentious truth. I may never finish because I hate looking back, revisiting the past and confronting old pain. I have plenty of time as a retiree and have few unfulfilled dreams. Health issues prevent the same bucket list I once had and my aspirations are different, as are some conditions in places I might once have visited, like Tibet. However, I hope one day to have grandchildren, to go on holiday with my Daughter to somewhere relaxing and to go back to eat at The Whalers where the Thais style oysters are a dream! To clarify my thoughts about adoption and adoption related issues, to share findings and information and to practise writing every day. I have plenty of time, more money might be nice at times but I’m content with my life. Many, many things – kittens, babies, silliness, family gatherings, Christmas, loving gestures, family jokes, Randy Newman, good food, kindness, sunshine, my geese to name a few. Never. I’ve enjoyed it since I was a child and could do it. Go to the beach, eat out, go to the movies or watch old favourites at home. In my house we’re “Love Actually’ fans, so that was on the menu for Christmas along with “The Sapphires”. I adore ‘The Intouchables’, ‘Casablanca’ and ‘The Boys Are Back’ to name three. I used to love to dance and party in the days of good health and stamina. This touched my heart! Thank you and may many more people find and read this blog! Well, first off Von..Congratulations! I apologize for the delay in reading this amazing news and your blog. Life got me..
You know, you are such an inspiration to me in so many ways. Someday soon I hope we meet in person and sit on your beach or in a cafe and have a chat. As for your nomination…well I’m honoured and surprised and of course I will take the challenge! Thank you for all that you do for all of us in so many ways.